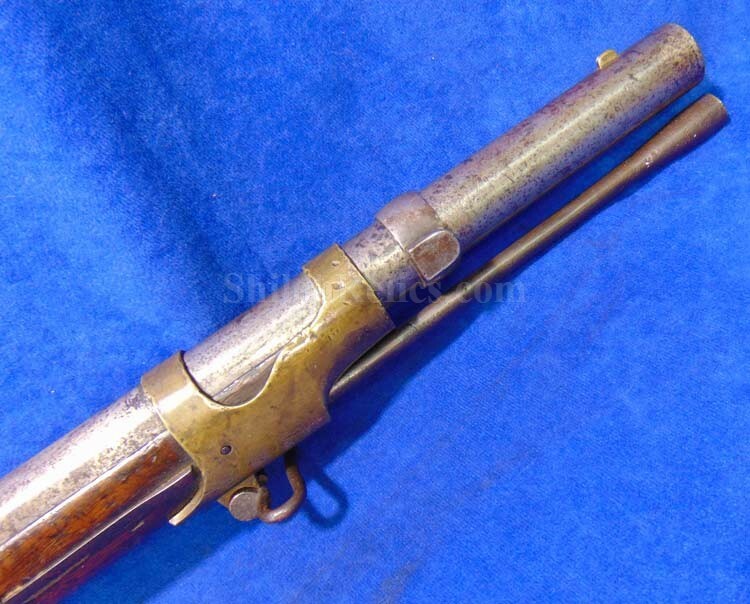 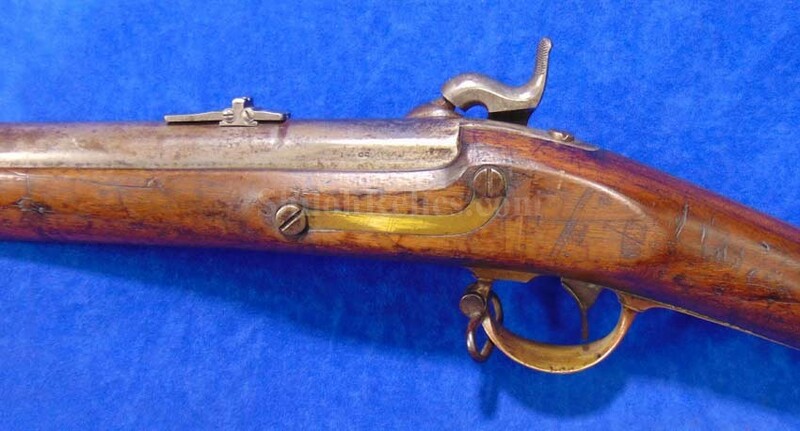 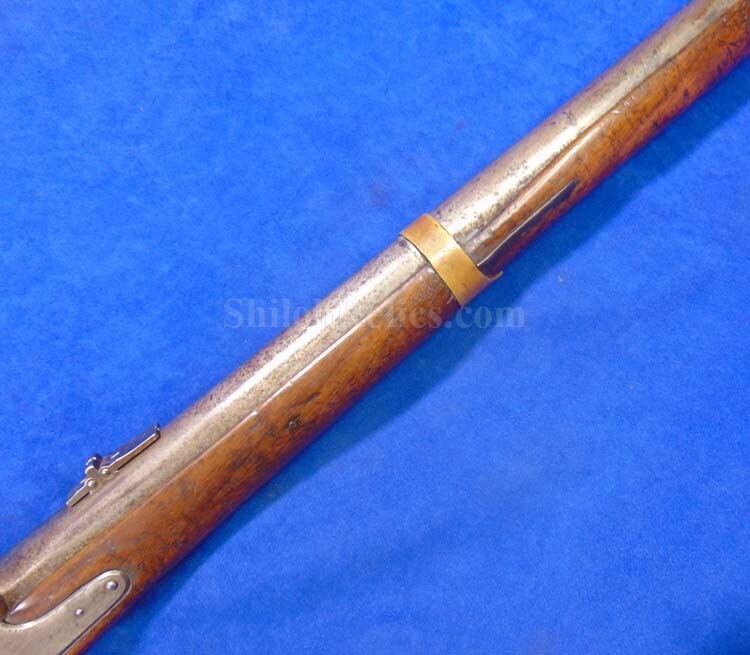 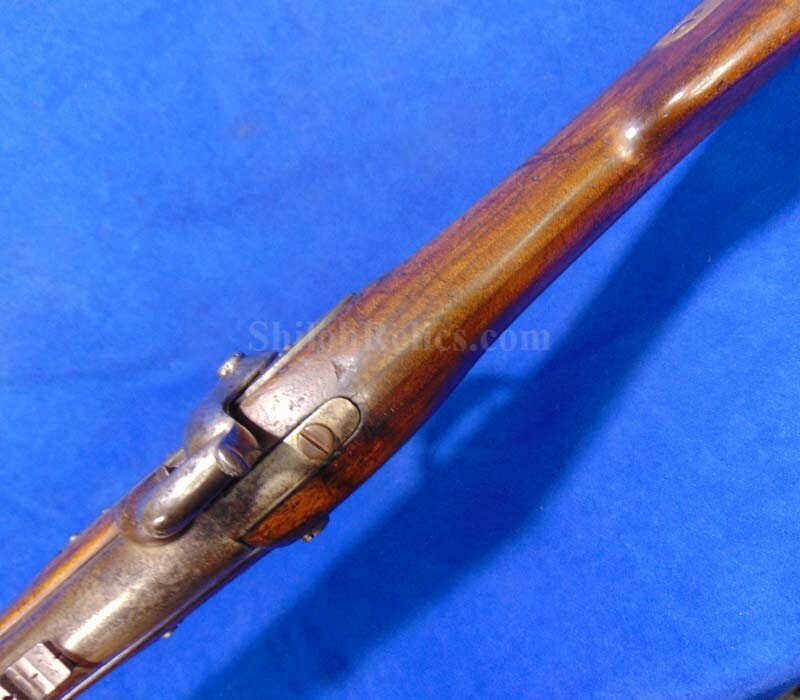 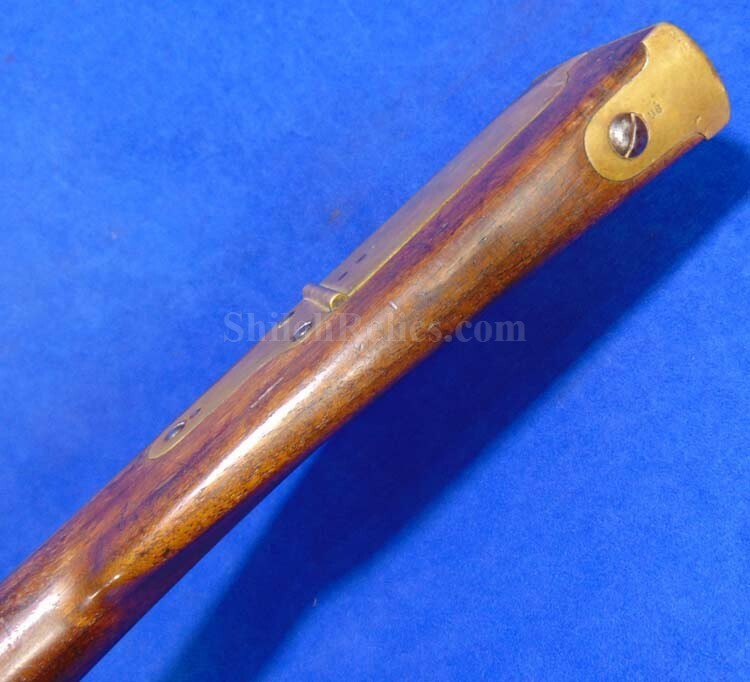 This is an attractive original "Mississippi” pattern rifle. 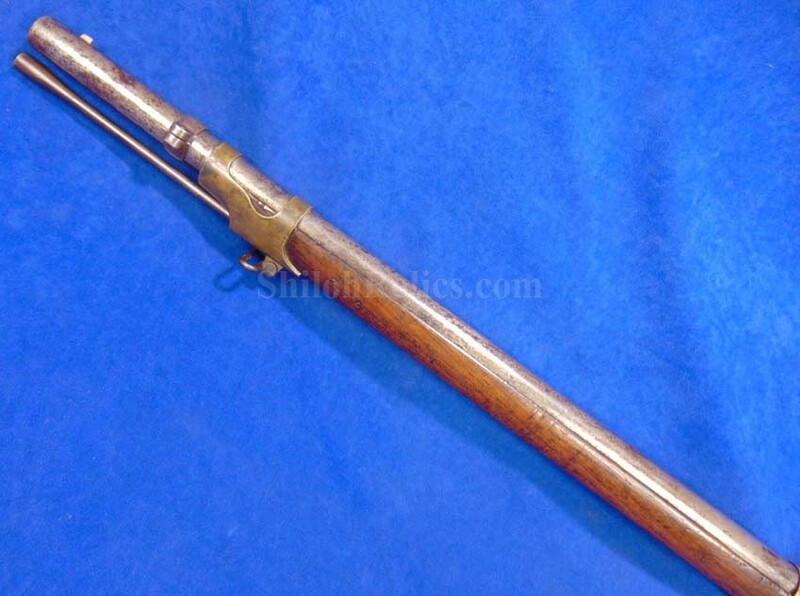 This is officially known as the U.S. model 1841 rifle. 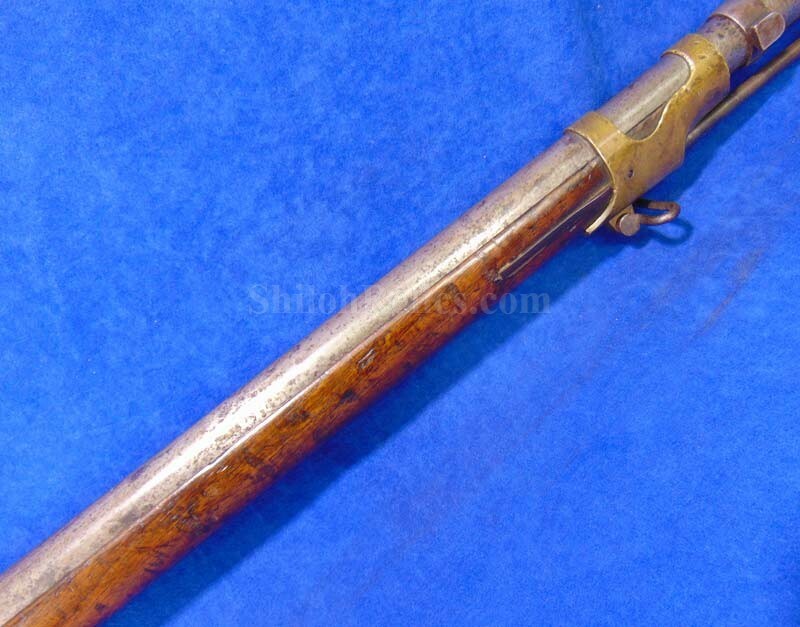 They got their "Mississippi” nickname during the Mexican War when a regiment under the Command of Jefferson Davis of Mississippi used them with great effectiveness. 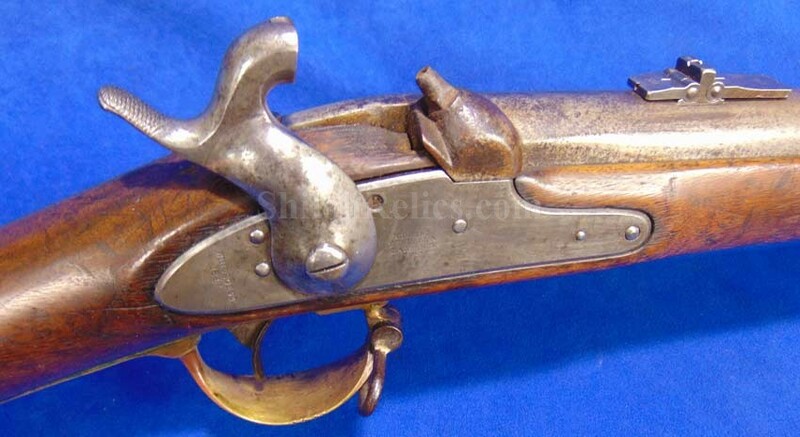 They stand out from across the room because of all of the brass furniture they use. 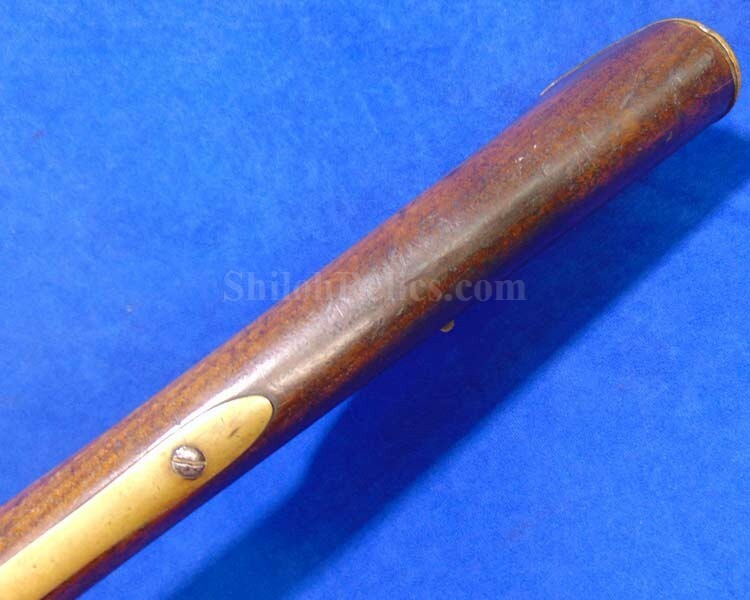 They have the classic brass patchbox, triggerguard, buttplate, barrel bands and even the tip of the ramrod has brass. 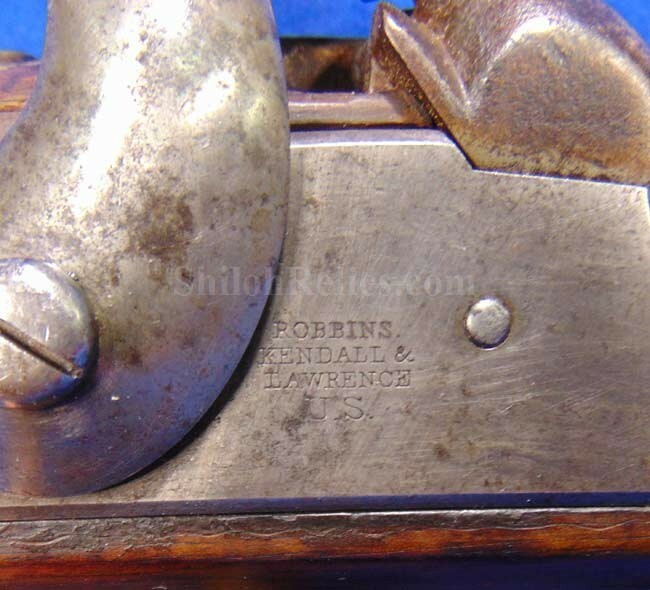 This one has the manufacture date of 1847 on the lockplate to accompany the production location of Windsor, Vermont and the maker’s mark of Robbins, Kendall & Lawrence. 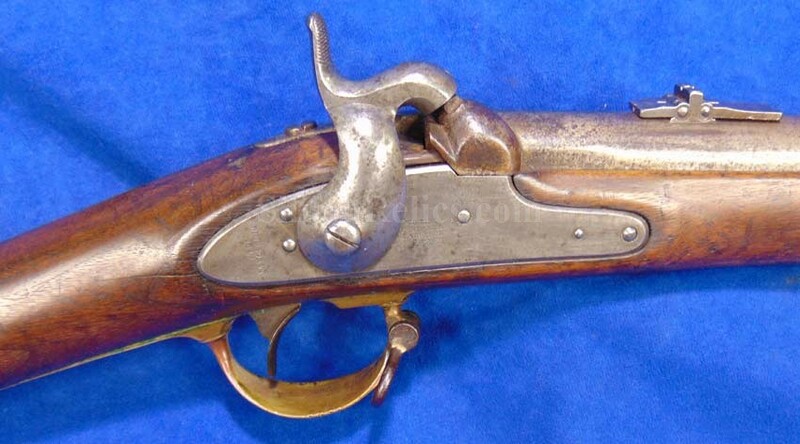 Flayderman's Guide states that they made 10,000 of these Mississippi rifles from 1845 until 1848. 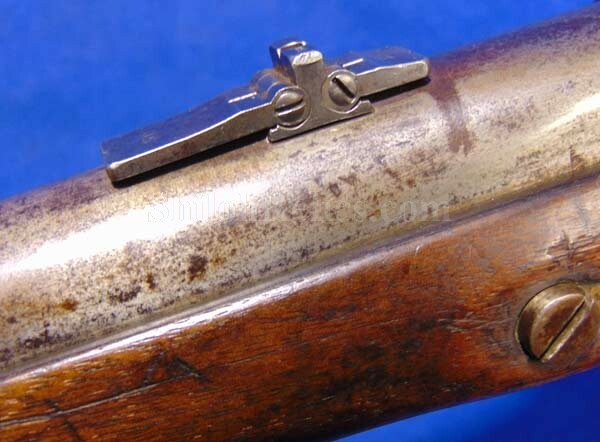 The action has spring and catches on both of the positions. 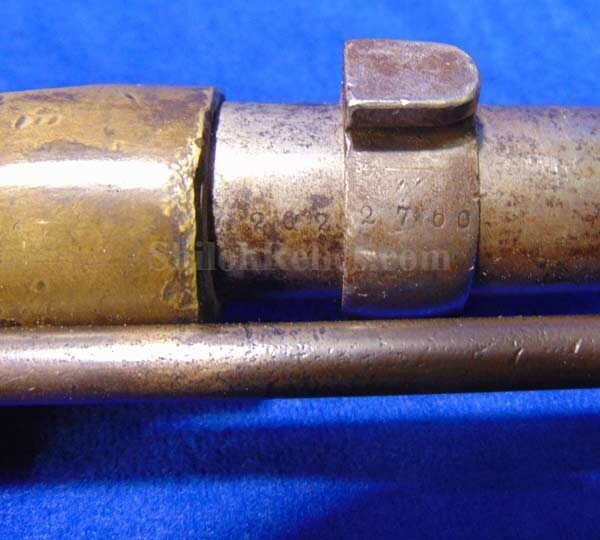 All of the brass parts have a rich dark attic tone all over. 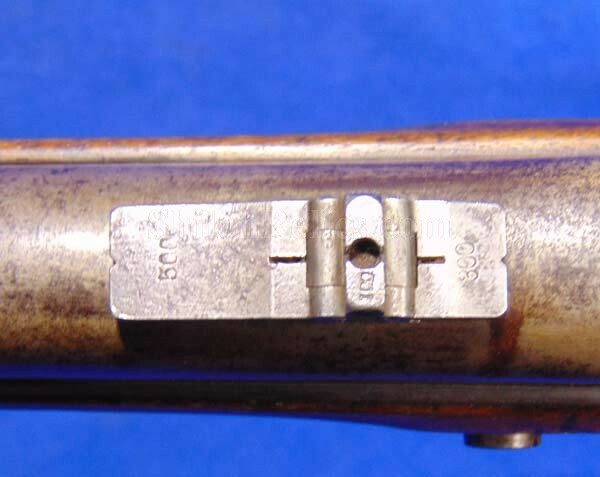 The barrel is full length and you can see the inspector marks at the breech. 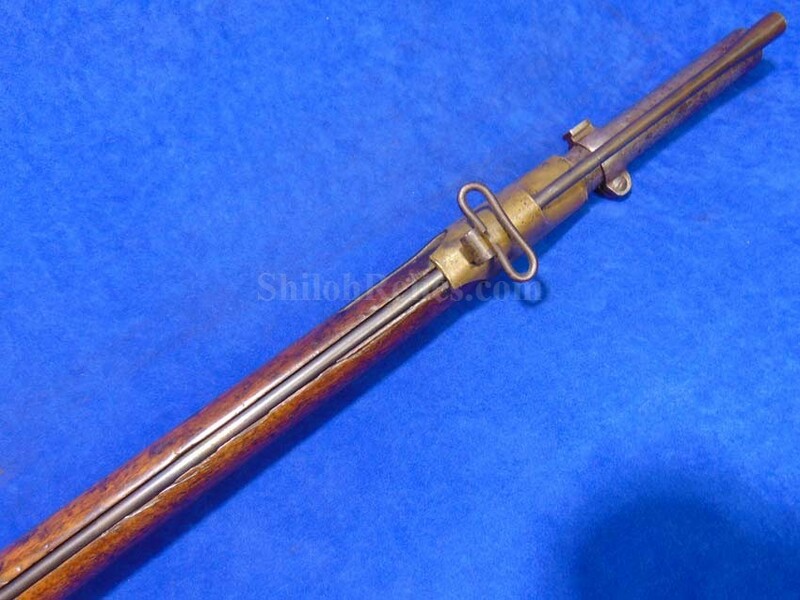 At the end of the barrel it has an original Colt made saber bayonet lug. 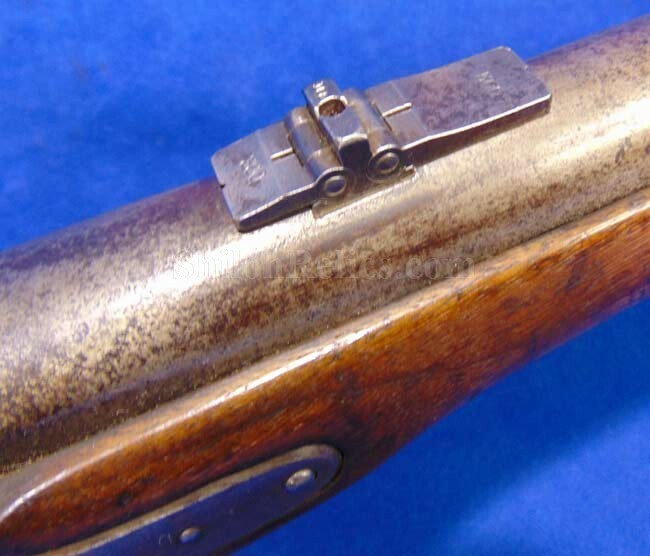 The lug is original but was originally with another gun because the serial number does not match the barrel. 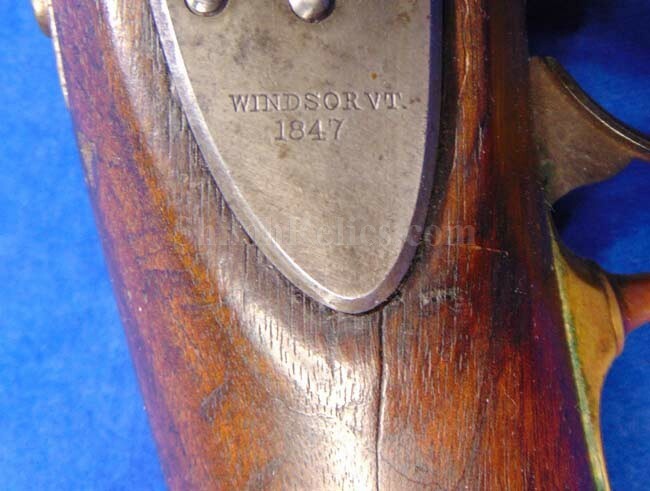 In the bore of the gun it still has nice lands and grooves still clearly visible. 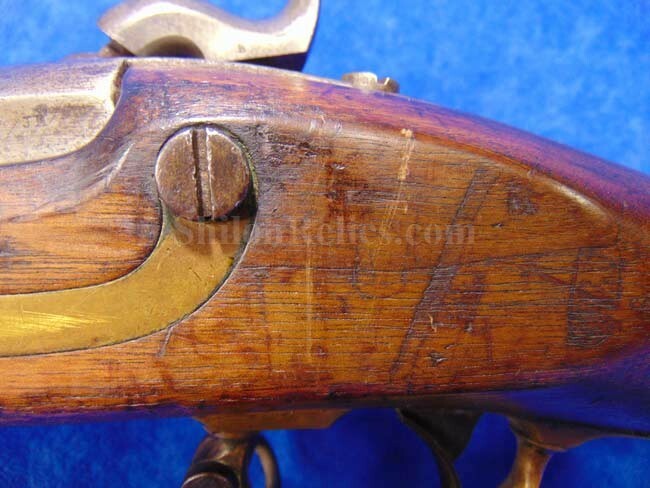 If you notice this one has the distinct Colt pattern sight at the rear which lets us know that this is one of the guns that were altered in 1861 at the Colt arsenal. 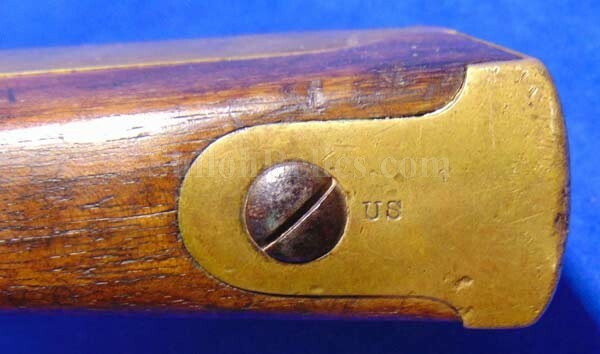 The sight still has both of the original two leaves present. 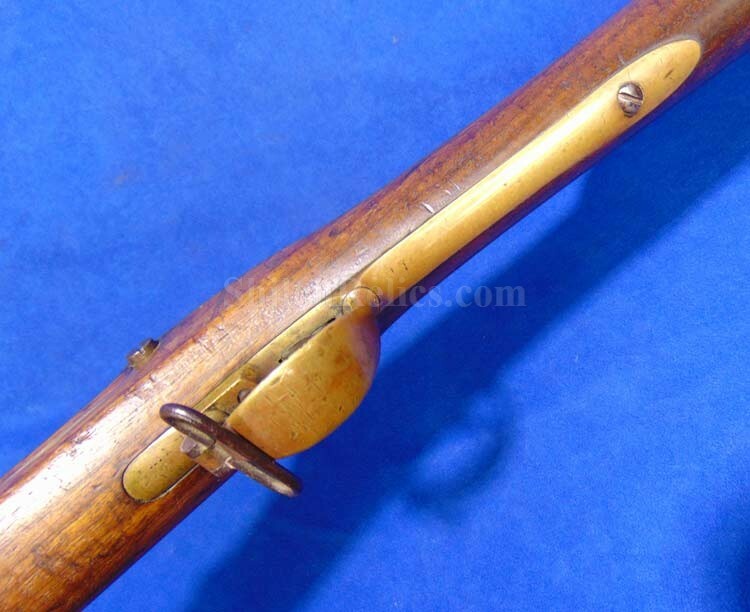 The sling swivels are intact and original. 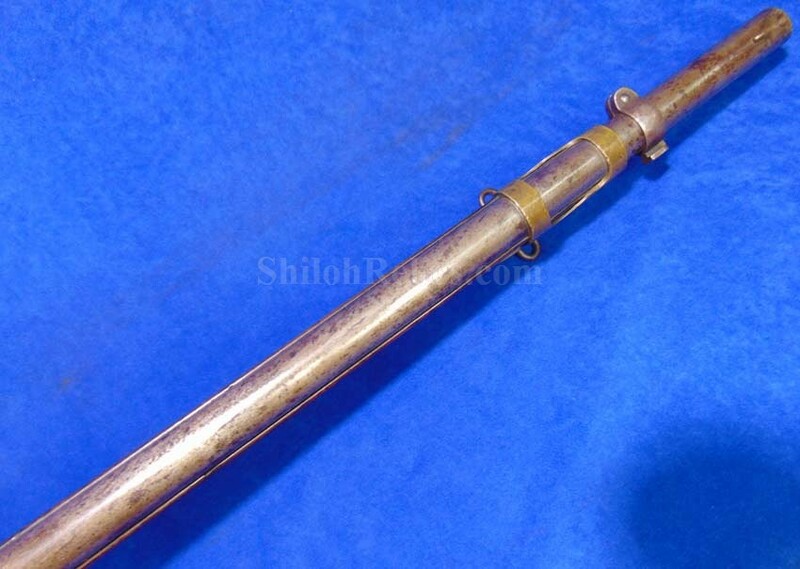 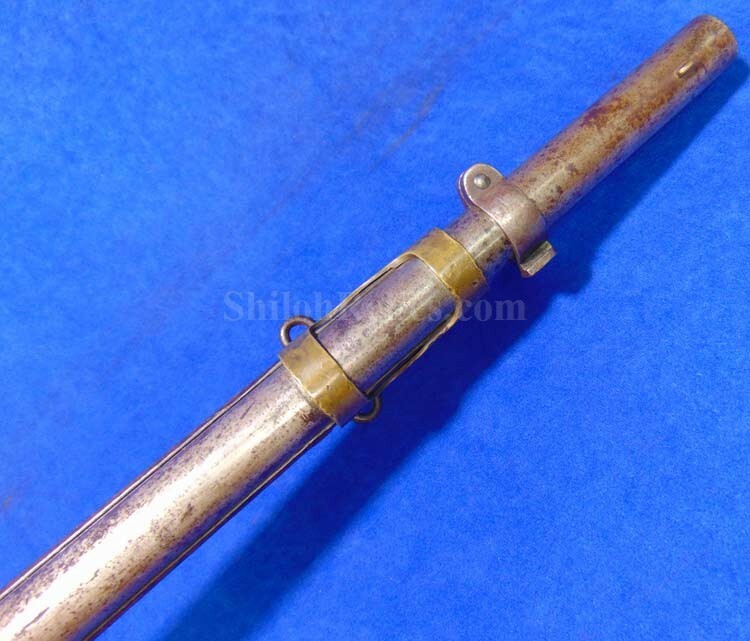 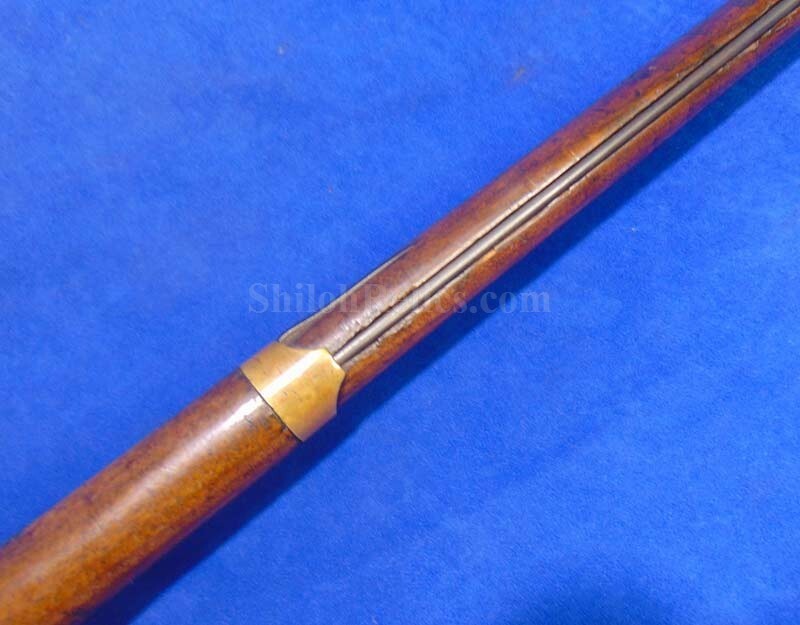 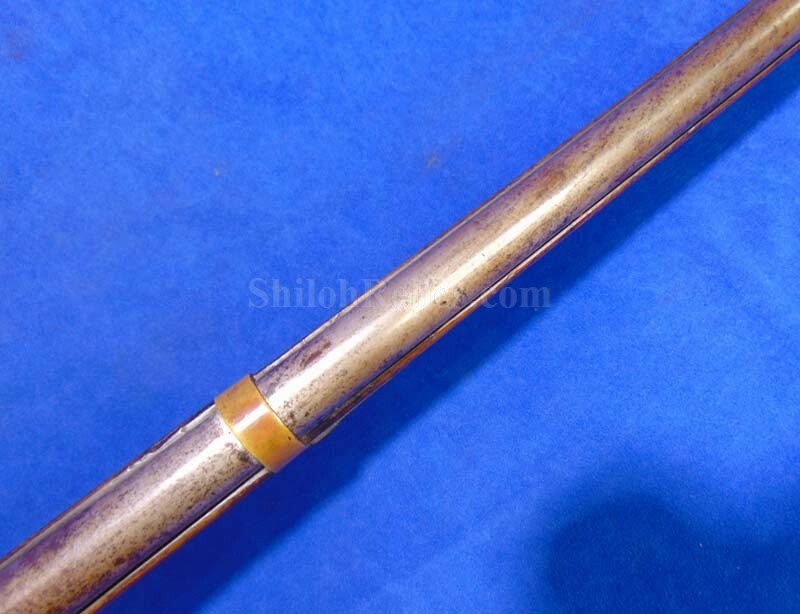 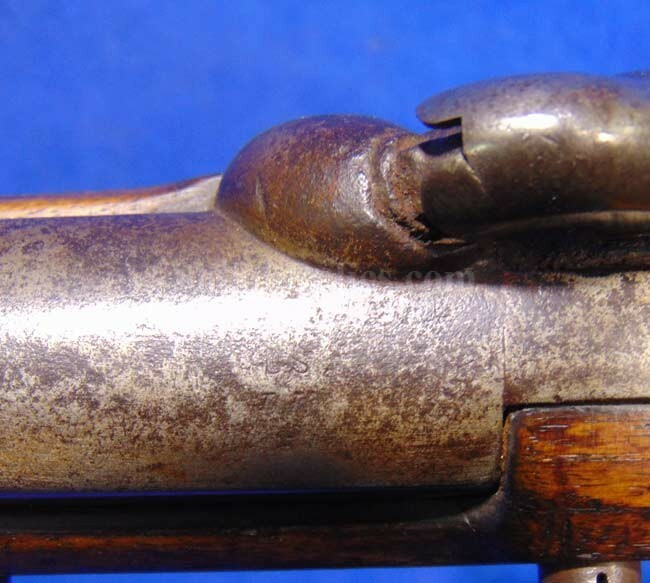 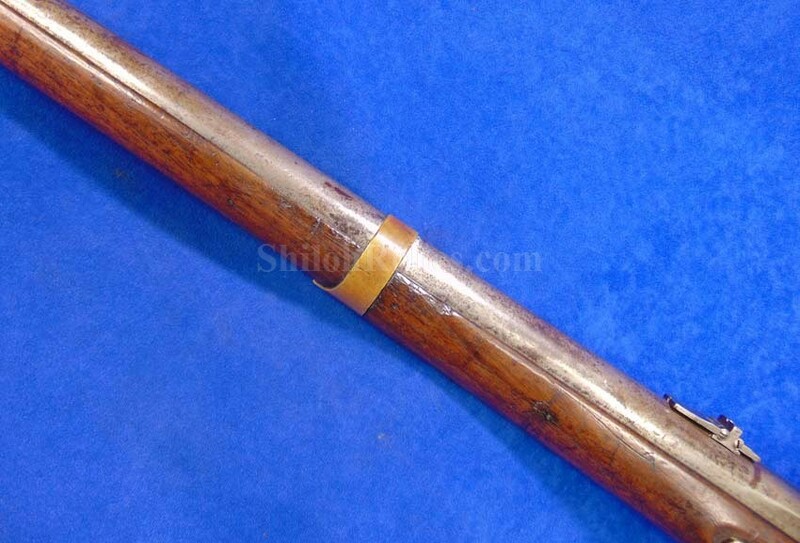 The ramrod in the channel underneath the barrel is and is the correct iron tipped original which is correct for post 1855 alterations. 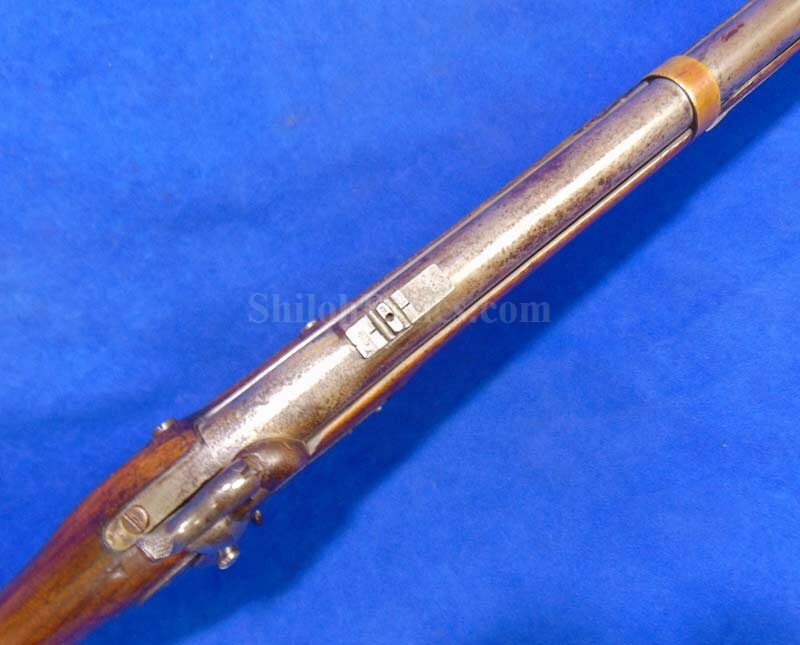 The stock on this gun has a cool attic look. 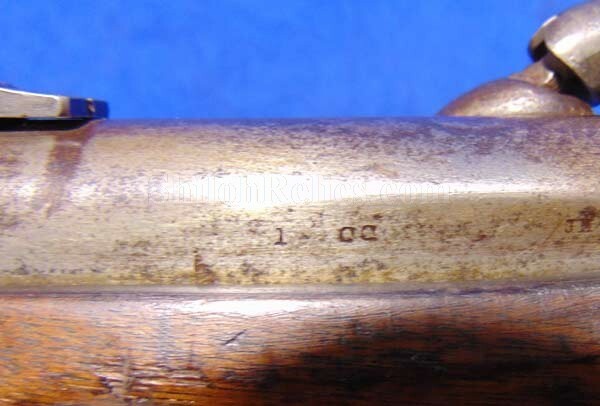 It has a fine grain to the walnut with the inspector stamps on the flat opposite of the lockplate being present. 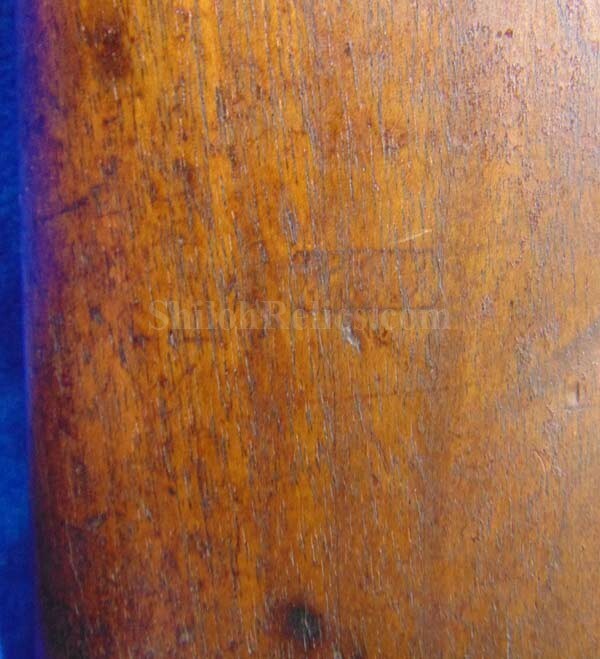 These marks let us know that the gun was approved by the Government for military use. 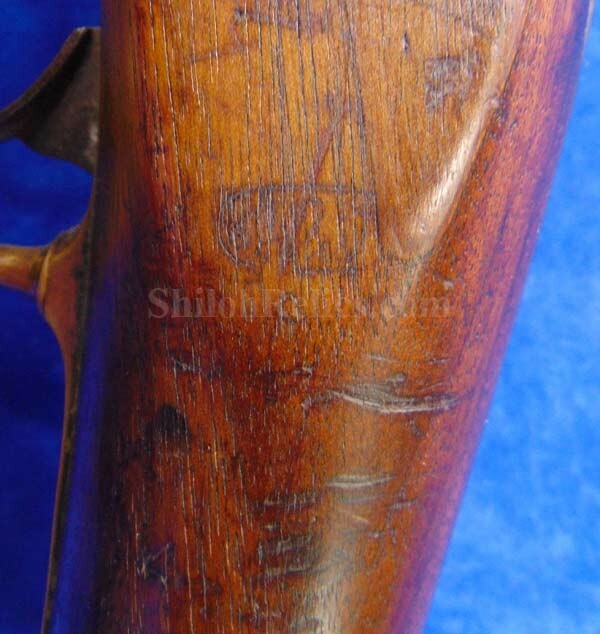 It also has, on the back side of the shoulderstock, right beside the remnant of the Colt arsenal inspector cartouche. 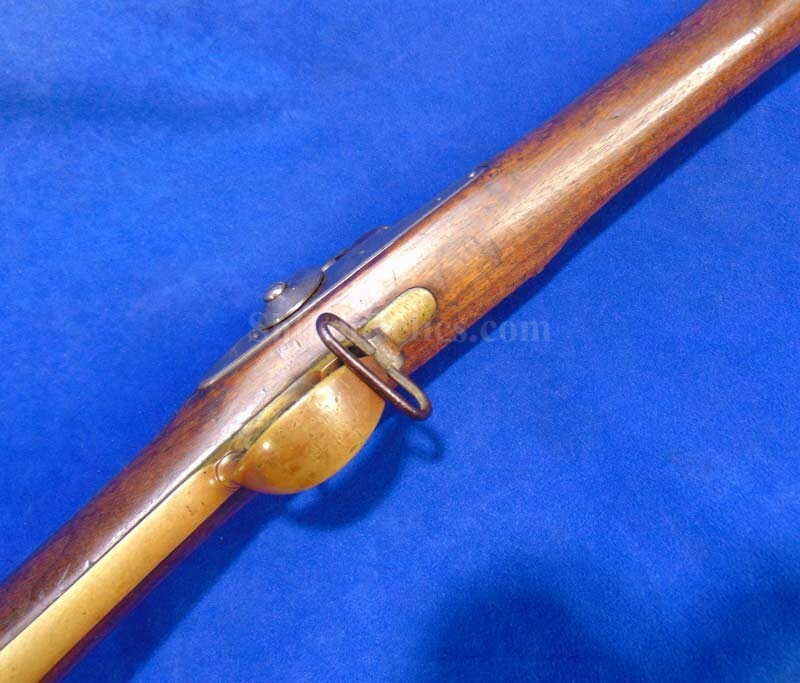 This is a good looking original "Mississippi” rifle with the 1861 Colt Arsenal Alterations.